South Essex College and Prospects College of Advanced Technology (PROCAT) are pleased to announce the merger of the two organisations. EFFECTIVE from today (Friday 1 February), the new College combines the best of each College’s long heritage in delivering high quality education and training. This exciting new strategy to combine our estate has enabled us to bring engineering and construction provision from both organisations together to maximise resources alongside sharing high levels of staff expertise to improve quality and grow provision across the College. It will also allow the new College to meet the government’s agenda of larger, more financially resilient institutions, which will in turn deliver enhanced prospects for students and staff. The merger is the result of a formal consultation process involving staff from both organisations as well as stakeholders and external partners. For current PROCAT students and parents it will be business as usual as the College gradually embeds and implements systems and processes to deliver this ambitious and rewarding vision. 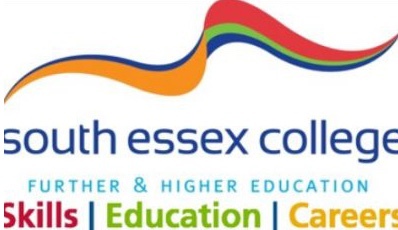 Angela O’Donoghue, Principal and Chief Executive of South Essex College said the merger will allow the College to more effectively meet the skill needs of the engineering and construction industries across the thriving Thames Gateway. She said: “This forward thinking merger will allow us to enhance our construction, engineering, and motor vehicle provision by bringing together high quality expertise and resources. The merger has already resulted in the creation of a new specialist motor vehicle and construction centre at Stephenson Road, near Progress Road in Southend, alongside maintaining an engineering facility in the PROCAT existing building, including the Canvey Island facility which will be retained by South Essex College. Moving forward, the venture will provide further capacity to increase our curriculum offer to include motorcycle, MOT and HGV provision, alongside increasing building services and higher level construction programmes. This will allow us to more effectively deliver high quality training to meet the skills needs of the ever expanding employer base across the Thames Estuary. One Response to "South Essex College and PROCAT merge"
International trade (Import & Export). if our country is to have any chance of succeedding post Brexit, we will all need to Make stuff and Export/Sell to the rest of the world. Our country makes very little thanks to the likes of Thatcher/Blair/May. We need wealth creators not wealth extractors (Rent seeking economy). Because when the next crash happens the service sector will be slaughtered. Due to a whole host of numerical reasons. We need to focus on Manufacturing, international trade and future growth sectors. Make Britain Manufacturing and exporting again. Now wheres my Trump style MBMEA hat.